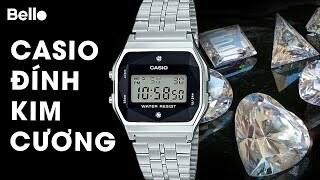 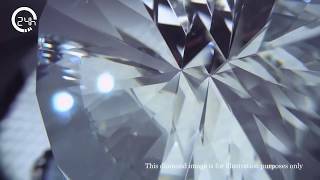 The men's digital vintage natural diamond dial watch a159wad-1df Dress and Luxury watche is manufactured by Casio and was added around September 2018. 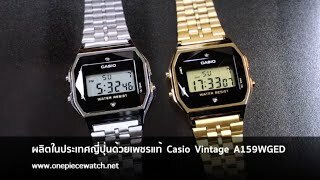 This version of the Dress and Luxury watche comes in Watch Shape : Other , Strap Material : Other , Watch Type : Digital , Watch Movement : Quartz. 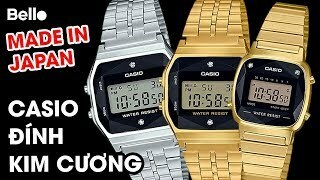 The best price for the Casio Men's Digital Vintage Natural in Nigeria is ₦ 16000 sold at Jumia and available with free shipping and delivery within 1-6 Days (Fashion Items) 3-8 Days for other products. 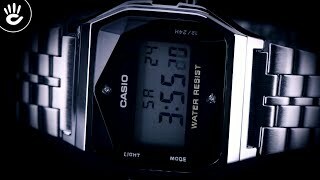 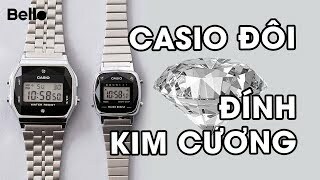 Ship COD An Giang: Casio A159WAD-1 đính kim cương cực đẹp!